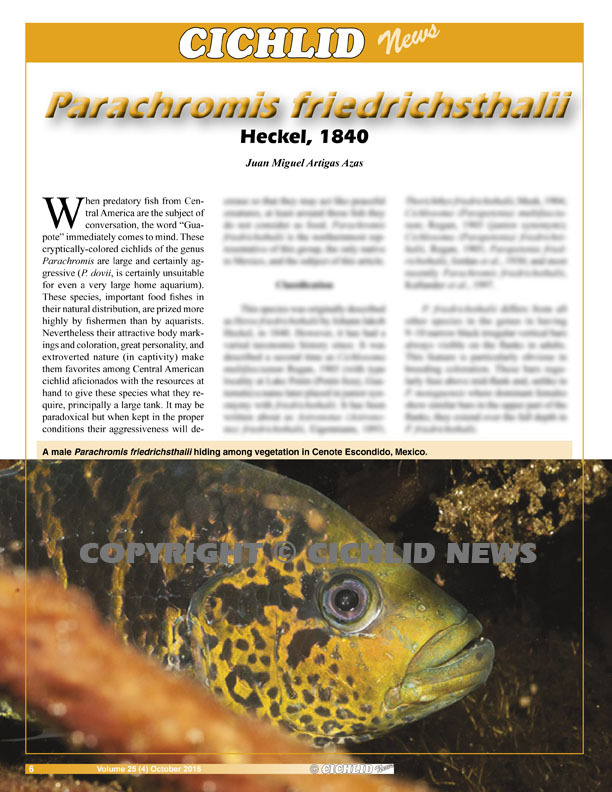 Parachromis friedrichsthalii by Juan Miguel Artigas Azas. A Central American guapote. 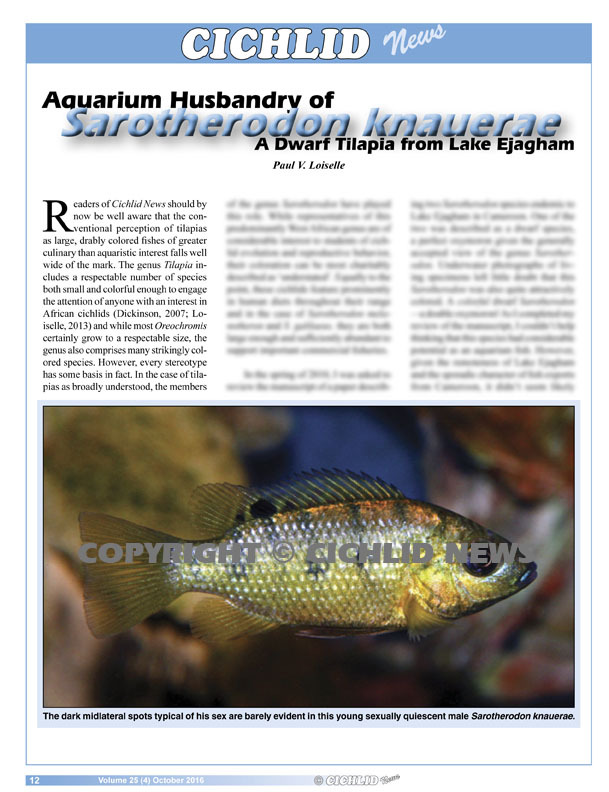 Aquarium husbandry of Sarotherodon knauerae by Paul V. Loiselle. A dwarf tilapia from Lake Ejagham. 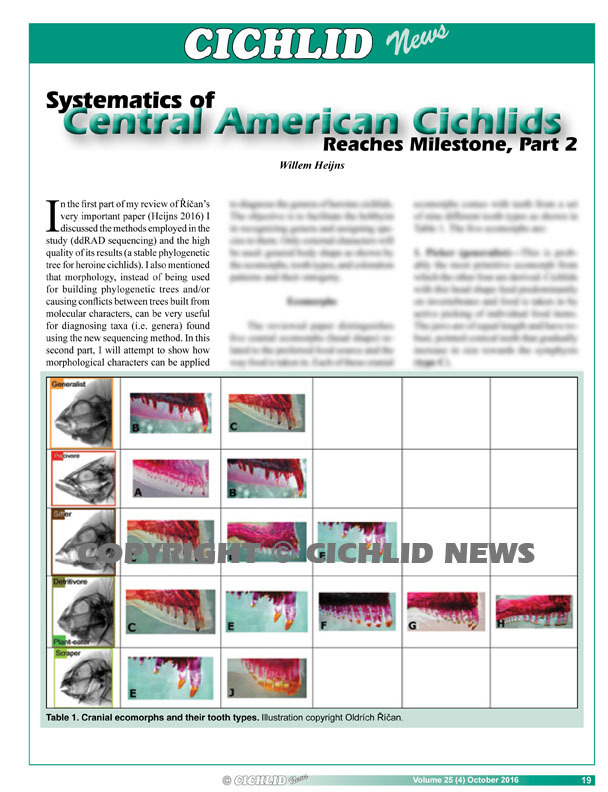 Systematics of Central American Cichlids reaches milestone II by Willem Heijns. Part 2 of his review. 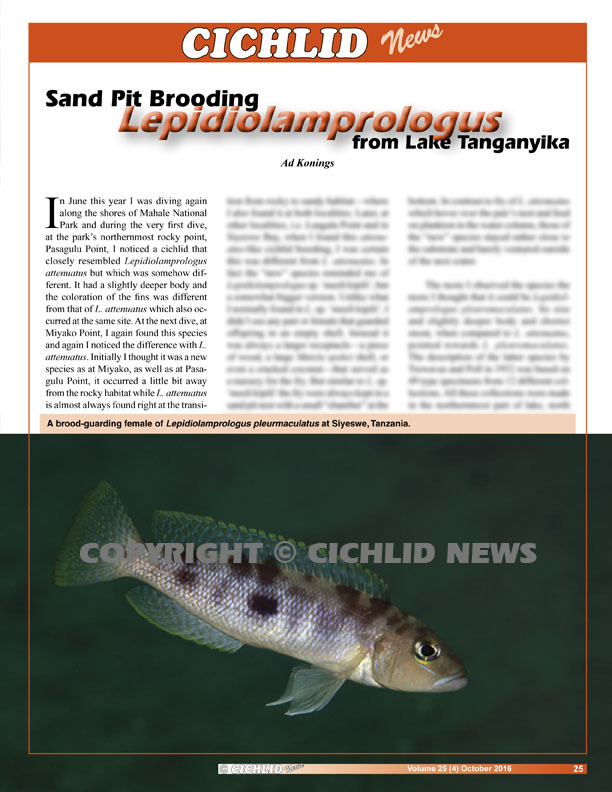 Sand Pit Brooding Lepidiolamprologus by Ad Konings. 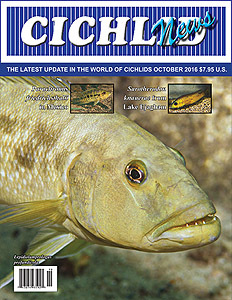 A small complex of Tanganyikan cichlids. 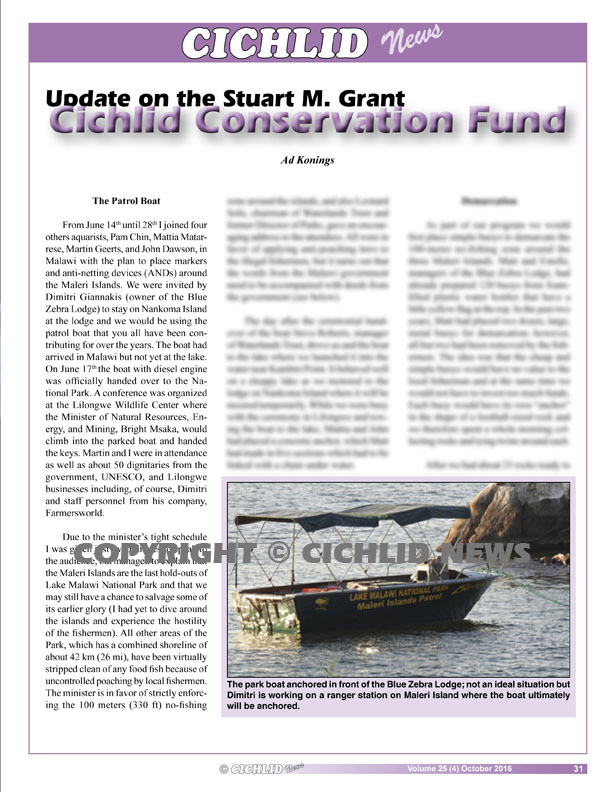 Stuart M. Grant Cichlid Conservation Fund by Ad Konings. An update.